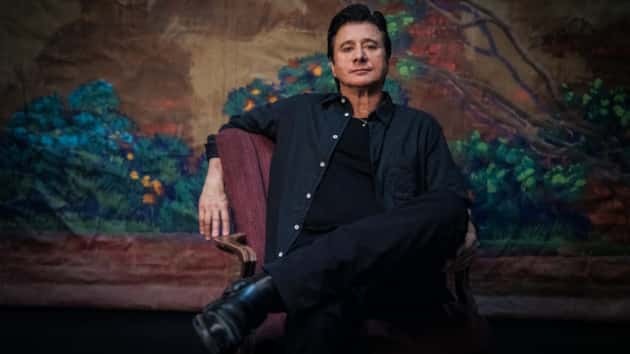 Credit: Myriam SantosEx-Journey singer Steve Perry has debuted a video for his new song “We’re Still Here,” from his 2018 comeback solo album, Traces. The new “We’re Still Here” video features Perry lip-syncing to the tune while driving a vintage Chevy Chevelle around the streets of Hollywood at night. Reminiscing about his younger days, Steve watches various people out on the town, including a young couple on a date. Another scene shows a group of well-dressed young men pass by a homeless man who is holding a sign that says “HUNGRY.” When one of them drops his wallet, the vagrant picks it up and returns it to him. In celebration of the video’s premiere, Perry took part in a Facebook Q&A with fans on Friday.